Elon Musk, the billionaire businessman who wants to literally die on Mars after he puts an electric car in every American’s garage, just had a meeting at the Pentagon with the US Secretary of Defense. But neither Musk nor Secretary Ash Carter will disclose what they talked about. “Elon Musk is one of the most innovative minds in this country and the secretary, as you know, has been reaching out to a number of members of the technology community to get their ideas, their feedback, find out what’s going on in the world of innovation,” Peter Cook, the Pentagon’s press secretary, said on Monday. Today’s meeting was focused on “innovation” according to a Defense Department spokesperson who spoke to CNN, but no further details were given. Musk has a financial interest in solar power and electric cars, but if I had to take a wild guess, Carter and Musk probably talked a fair bit about SpaceX, the entrepreneur’s private space company. 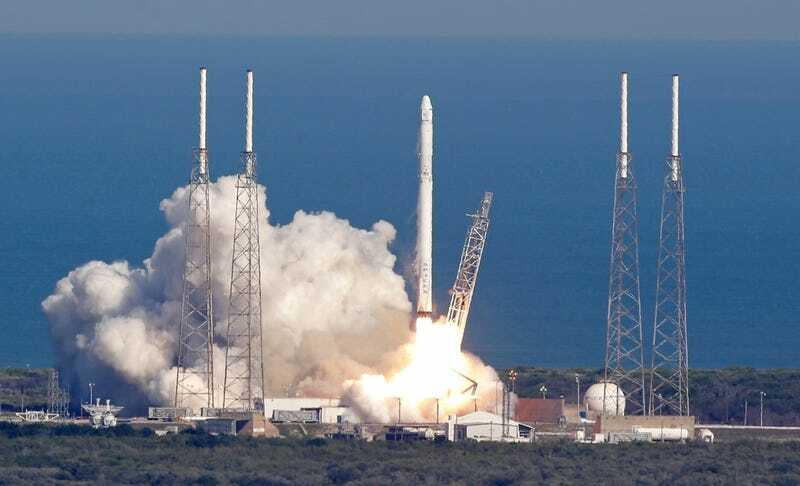 SpaceX already has an $82 million contract with the US Air Force. The Pentagon has been actively courting private business in Silicon Valley over the past year to establish more ties with the defense industry, even opening up an office on the West Coast under the Defense Innovation Unit Experimental (DIUx) program. But the initiative has been off to a stumbling start. They’re already trying to overhaul the office in an attempt to cut through red tape and streamline contracts. In the past, Carter has talked about a “funding pipeline,” which is really nothing new when it comes to the business of technology transfer. But it’s clearly an area where the military is currently bogged down. We often forget that Silicon Valley was built on the backs of US military budgets cranking out weapons of war and the microchips that would guide them to their destinations. But the military has arguably been worse at helping to fund dual use technology than it was during the 1990s, when we saw the US government help start the process to commercialize things like the internet and GPS. If anyone can help the military kill more people (and maybe get Americans some shiny new toys in the process), I trust Elon “Iron Man in real life” Musk can do it. Update June 9, 11:20am: Musk tweeted that the meeting was about a “flying metal suit,” so make of that what you will. He’s either joking about all the Iron Man references, or he’s building a Wizard of Oz-style Tin Man for the Navy.